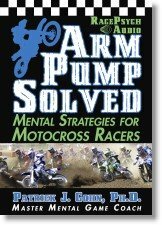 Racing psychology expert, Dr. Patrick Cohn, at racingpsychology.com helps NASCAR, Motocross, and motorcycle racers improve performance and lap times by boosting composure, focus, and racing confidence on race day. 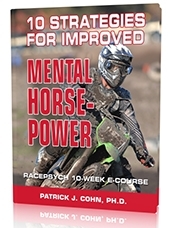 Learn mental racing strategies and tips for motocross and auto racing. In today’s psychology of racing session, I help a racer cope with prerace jitters before a race. Learn the top mental game of racing secrets to feel prepared for your next race. Many racers experience prerace jitters before performing. Prerace jitters can be negative if those jitters cause tension and performance anxiety. Racers who experience negative prerace jitters may worry too much about the outcome of the race. Jitters can be positive and can help prepare racers for the upcoming event. Listen to this podcast on prerace jitters to learn more about how to mentally prepare for a race! Hi, I was wondering if you had any material on the psychology of getting that Sponsor ? Could you please help me Doctor ? I don’t really deal with this area of racing. You need a manager to help you with that area.